When the Houston Astros returned home after their historic World Series win, the energy was electric. 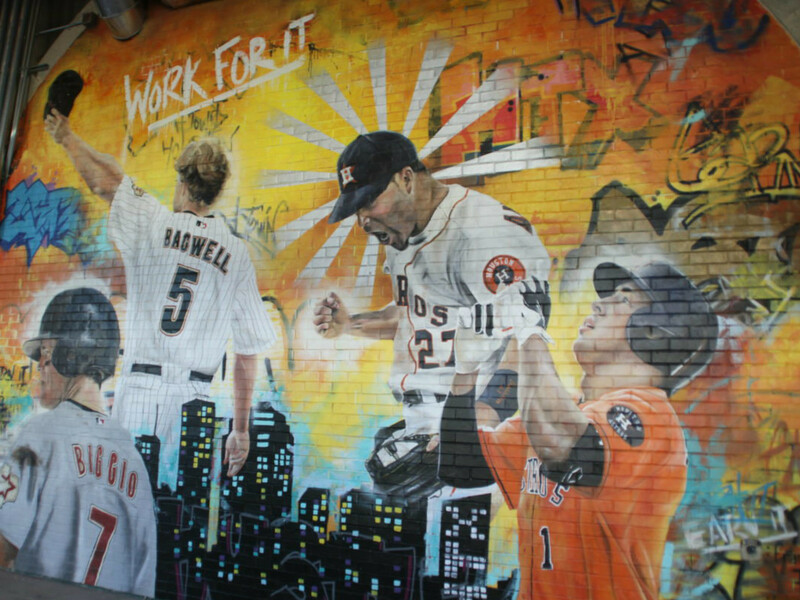 Following Hurricane Harvey, the city became known for overcoming struggle and rising up to shatter expectations, but one man was so confident about the Astros' chances that he emblazoned his prediction on the very walls of Minute Maid Park. 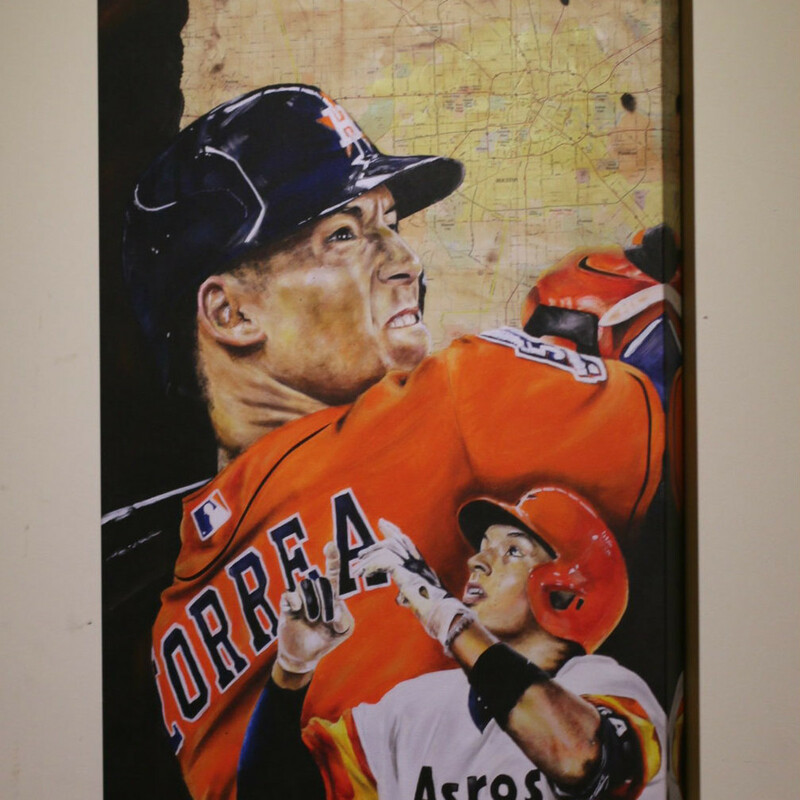 Local artist Franky Cardona never imagined it would become a poignant part of history not just for the Astros, but for Houston itself. 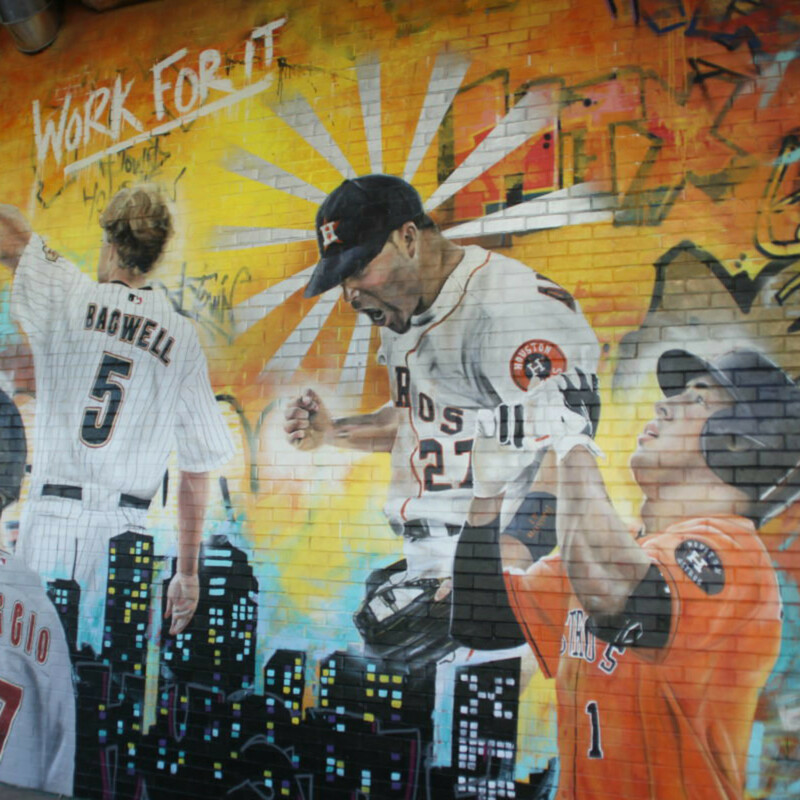 In the Home Run Alley mural, Astros players are depicted in poses of determination and resolve, representing the message scrawled across the top that Cardona sought to drive home: "Work for it." This mural had become a firebrand for the Astros, for this season and for many more to come, defining the oft-touted hashtag #HoustonStrong. 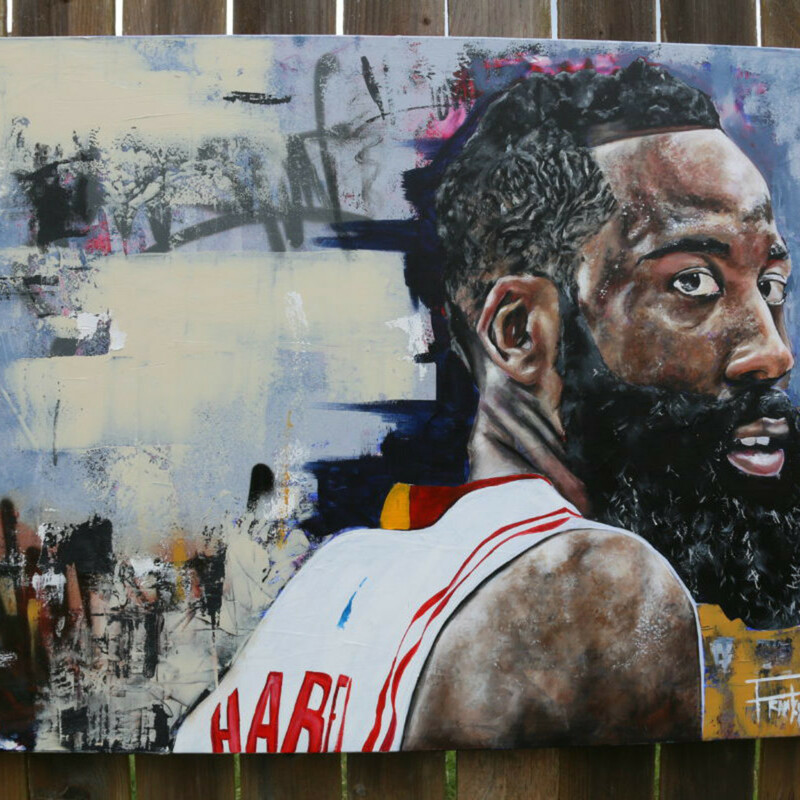 Cardona, an artist since he was a child, has combined his intense passion for sports, the love for his city, and his artistic vision to create unique works that have earned him recognition from several major Houston athletes, as well as a worldwide following. "Art is my passion," Cardona reflects. "Besides my family, art is all I think about. If I see something that catches my eye, I completely dissect it: the colors that are used, the way it is blended, what medium was used." 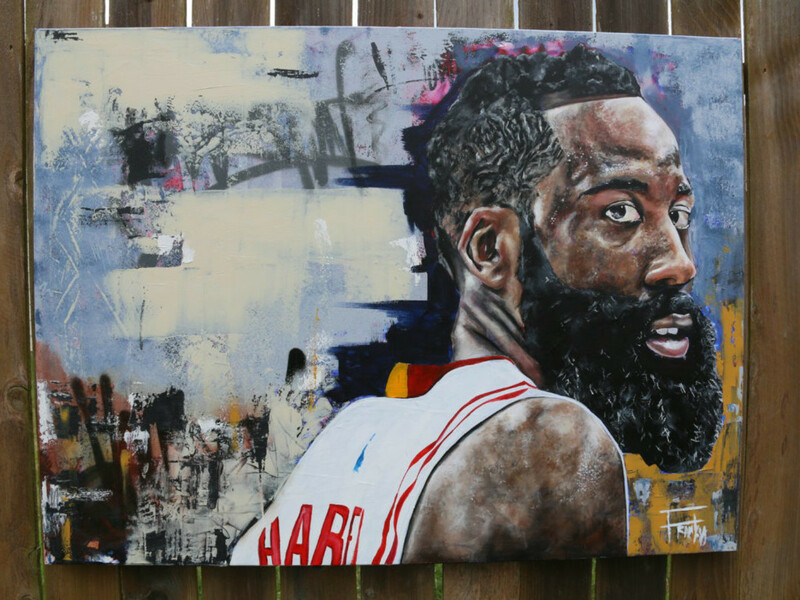 While born in Chicago, Cardona was raised in Houston and considers it his home. The passion that fuels Cardon's artistic creations is palpable, as is the impact that his works have on people. It is a huge part of what drives his vision. 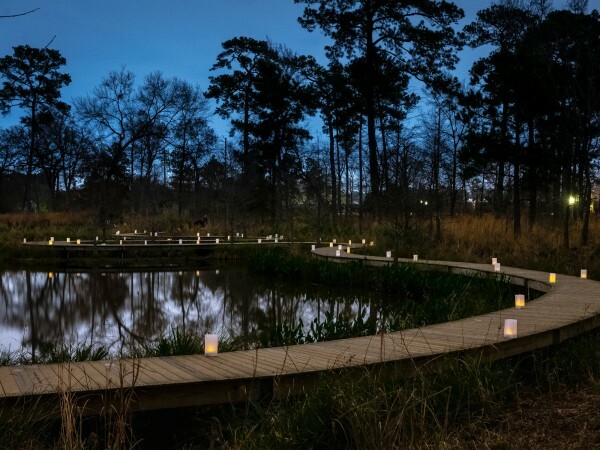 "My art has given me an opportunity to touch and meet people I otherwise would have never encountered, and my family has been blessed because of that," he says. "This passion I have for art and the skills I have been blessed with have allowed me to create memories that will last a lifetime." One such memory is when Cardona was contacted by former Houston Texans wide receiver Andre Johnson, to paint his portrait. 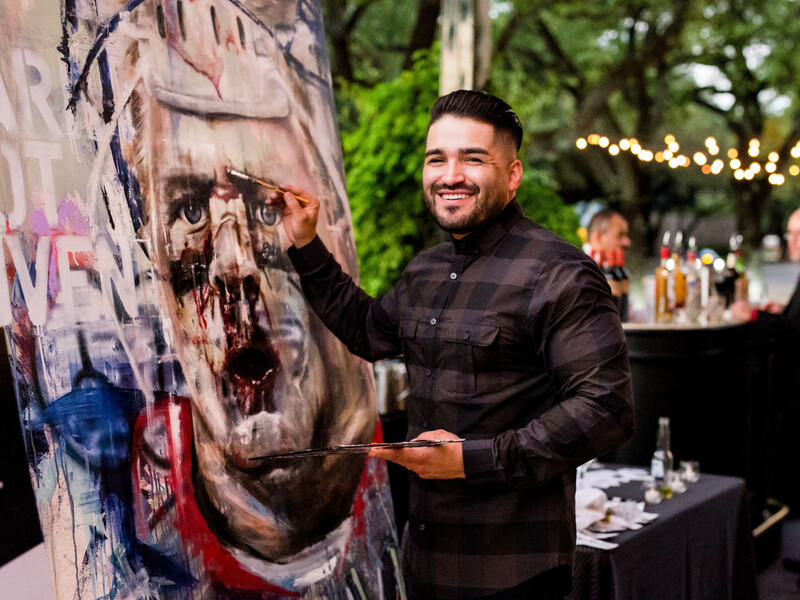 "I had posted a painting of the Greatest Of All Time, Andre Johnson, on my Instagram and somehow he came across it and contacted me," Cardona recalls. "I couldn’t believe it. This was an athlete that not just my family looked up to, but the entire city of Houston. 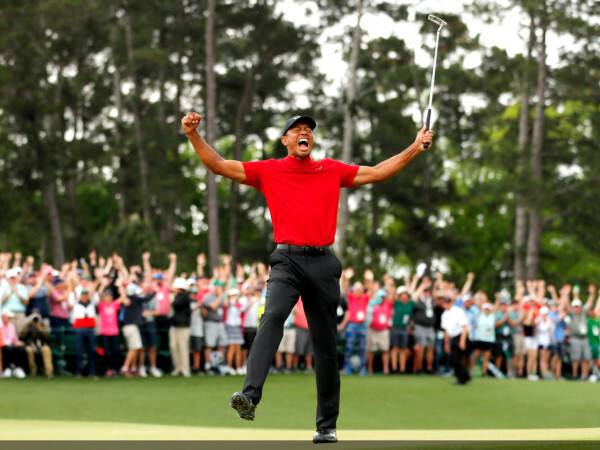 All I wanted in return was some autographed memorabilia for my family — I went a bit overboard, with about a dozen items, but he was so humble and happy to sign everything." Since meeting Johnson, Cardona has had a multitude of opportunities to meet other athletes, musicians, and entertainers, and has received the attention of the National Football League, National Basketball Association, and, most notably, Major League Baseball. 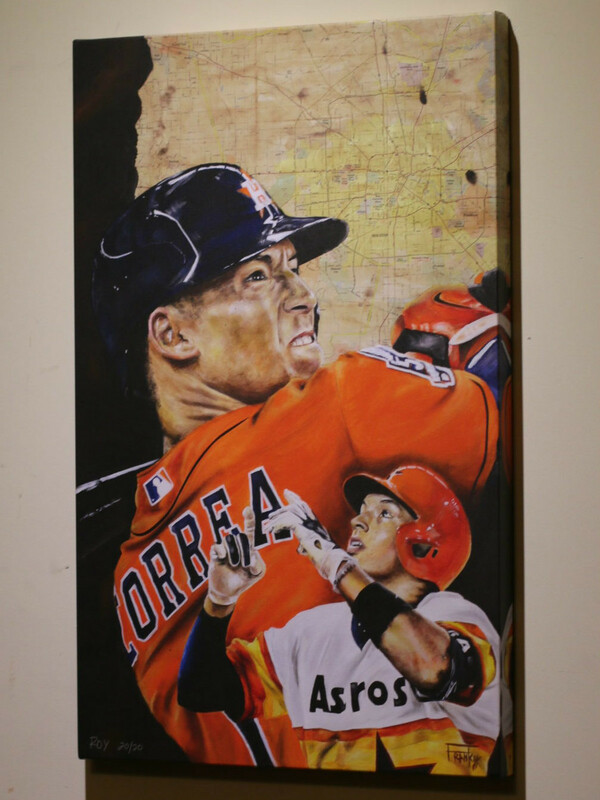 "Having the opportunity to paint that mural at Minute Maid Park was a great honor," says Cardona. "However, then to realize it became part of history with the Astros winning the World Series in the same year, is just insane." Cardona credits the work of his family, his agent Hector Garcia, and the team at SiteJab for making this historic feat possible. "To see my mural all over social media, with families making memories and taking photos in front of it — that really makes me proud," he says. "To be able to say that all of us were a part of this historical World Series win is humbling, and a special blessing to be able to achieve that simply by doing what I love." Cardona knows about working for it. Now a husband and a father to two young boys, he still maintains a full-time job at Union Pacific Railroad and paints during his time off. Hard work is something that was instilled in him since childhood, and his drive complements that work ethic. 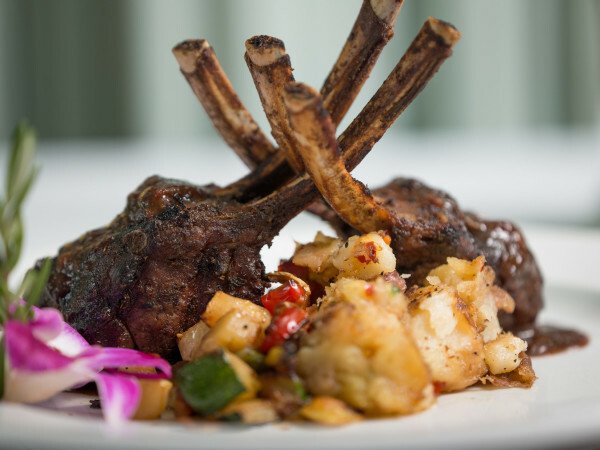 "Creating something from nothing is a challenge I thoroughly enjoy," shares Cardona. "Having that freedom of a bare canvas or wall to create anything is a feeling that can't be explained; it must be experienced. I want my work to be seen all over the world, and I won't stop believing in that vision until it is reality. I believe that if you do something you truly love, you will never work a day in your life, so I want to make my passion my career. That is my dream." Cardona may not have to wait much longer for that dream to come true. 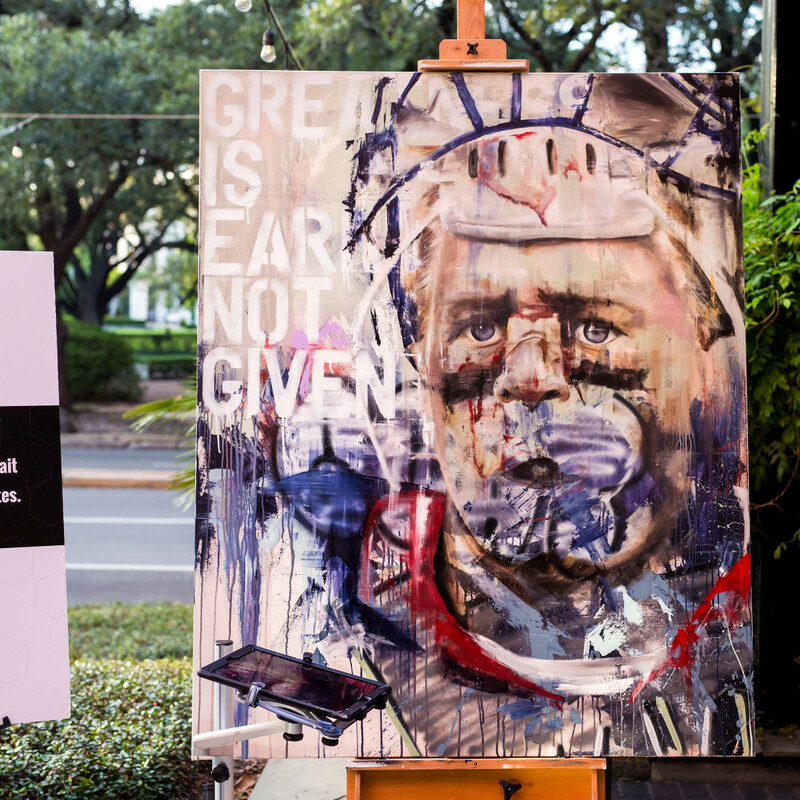 At a recent auction for J.J. Watt’s charity foundation, Cardona donated a portrait of Watt. Of all the items up for bid, his portrait brought in the highest amount. "I remember how happy my wife was for me, and how proud she was that my item sold so well," he recalls. "We had such a great time for a great cause." 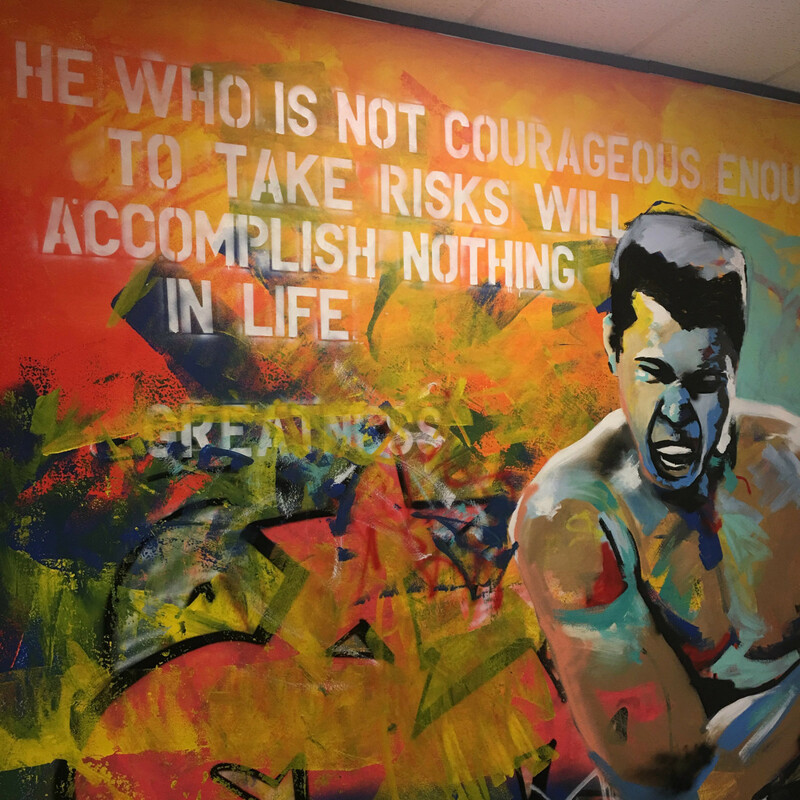 Cardona has also painted murals of many athletes outside of Houston, notably a couple of the late Muhammad Ali. 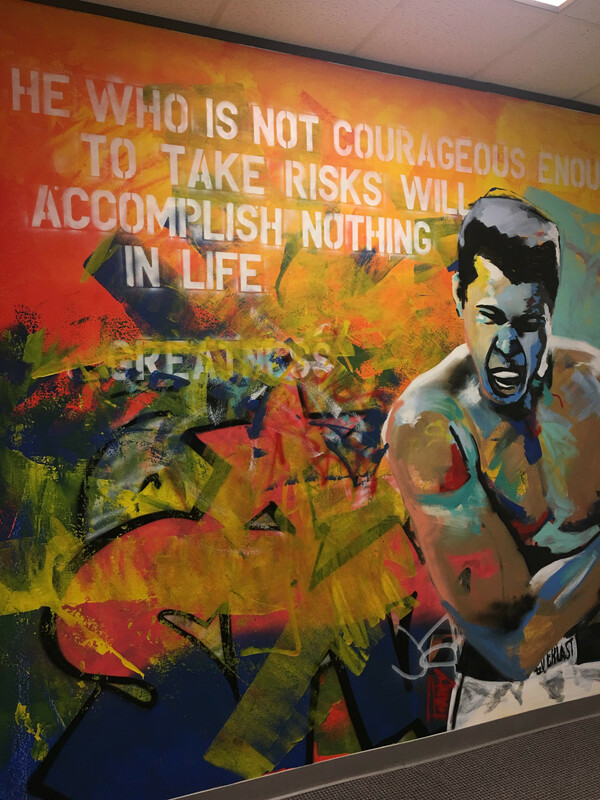 "My piece Rest Easy Champ was painted the year Ali passed away," says Cardona. 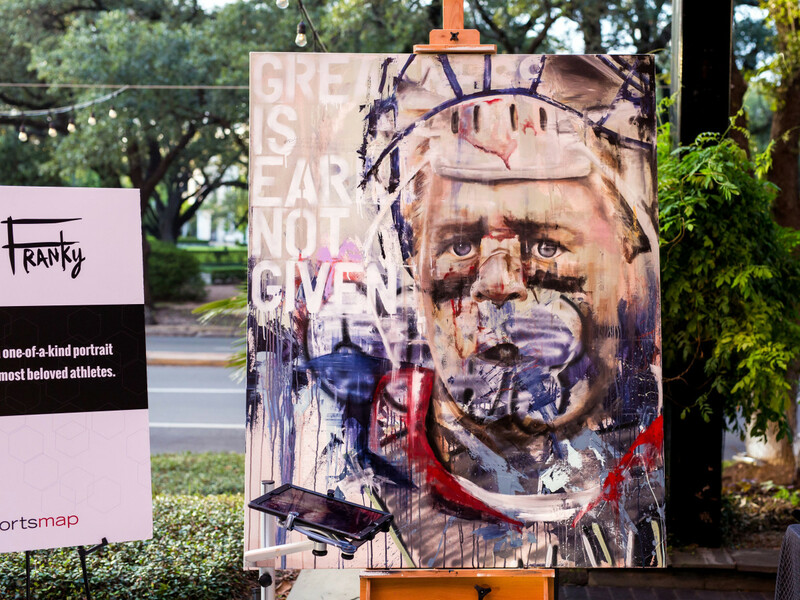 "It is one of my most powerful pieces to me because it says so much by saying so little." The ease with which Cardona paints is fascinating, and when seen during one of his live paintings is even more breathtaking. 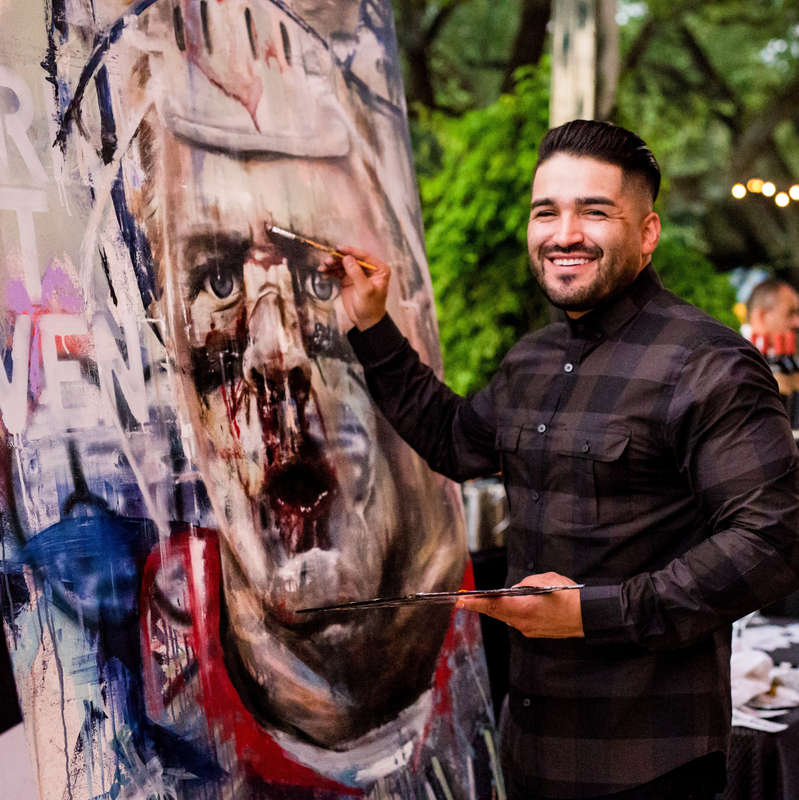 Those who attended the SportsMap launch party might recognize Cardona's work, as he painted in real time to craft a portrait of Texans defensive end J.J. Watt while the party swirled around him. As Cardona’s star continues to rise, he remembers that these opportunities weren't simply handed to him, and remains visibly driven and determined to make his dreams come true while staying humble. Just like his beloved Astros, he had to work for it.